Train car full of "Egg" coal on the scales. Tipple in the distance. 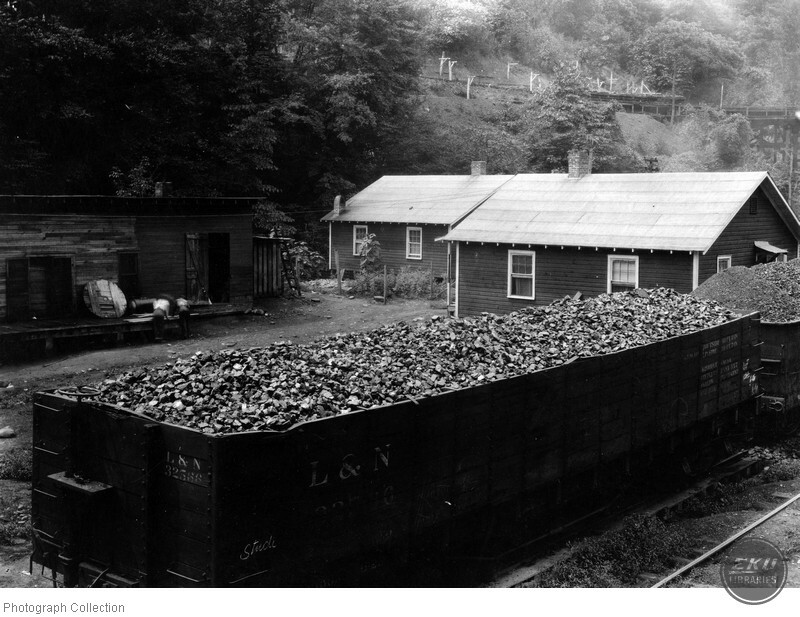 Unknown, “Coal Train Car,” Digital Collections, accessed April 21, 2019, https://digitalcollections.eku.edu/items/show/23408.